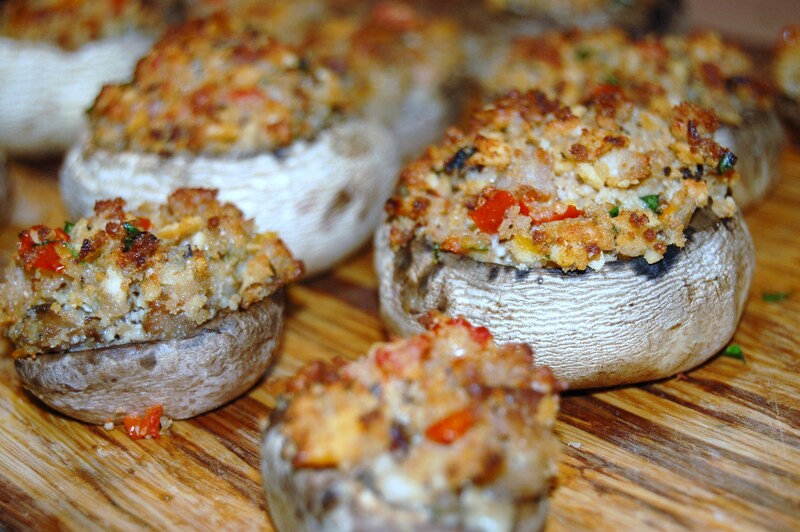 Last week I posted a recipe for Italian Stuffed Mushrooms and I promised a follow-up post to let you know how I used up my leftover mushroom stuffing mix to make a quick and delicious lunch idea. But first, there’s something I want to show you. 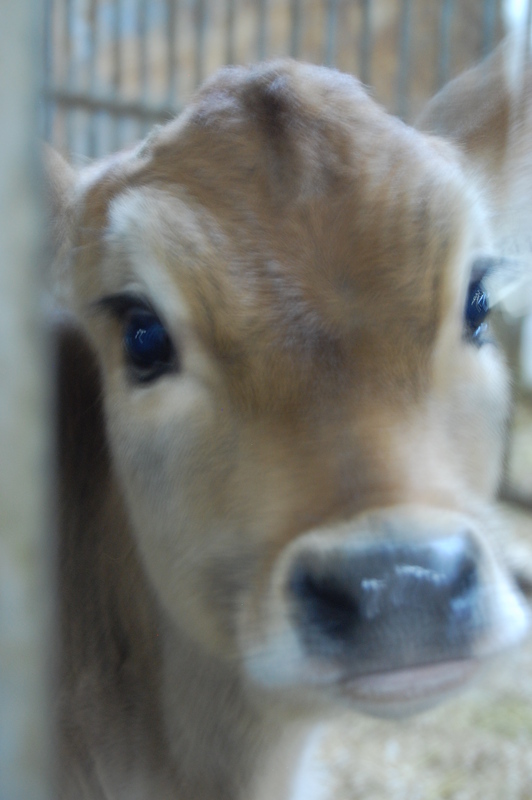 The other day, while in the barn, I couldn’t help but snap this picture. Look at those eyelashes. Are they not the most beautiful lashes you’ve ever seen? Maybelline wants you baby. So after everyone in our house had eaten as many stuffed mushrooms as they could possibly eat, there was still a substantial bowl of stuffing mix sitting in the fridge and it kept calling out to me every time I opened the door. It got to the point where I just couldn’t take it any more and so I made these Cheesy Italian Naan breads for lunch. 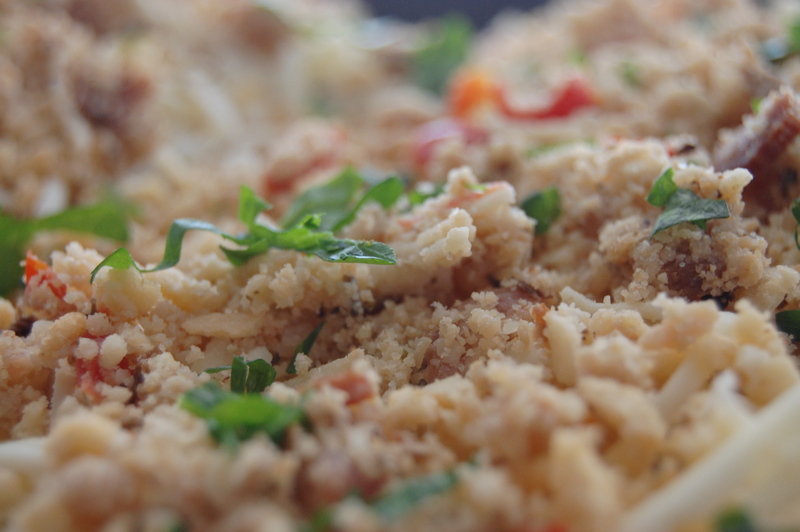 It’s a great way to use up any leftover stuffed mushroom filling. Preheat your oven to 350 °F. Pull out some Naan bread ( I buy mine from the local grocery store in the bread section but if you have trouble finding it, any type of flat bread will work) and place it on a greased baking sheet. Cover the Naan bread with shredded mozzarella cheese followed by the Italian stuffed mushroom filling. Sprinkle with some chopped Italian parsley. Bake in a preheated oven for 15 minutes or until slightly golden. I ate mine piled high with English cucumbers for a refreshing crunch. This was quick, easy and delicious. And that’s just the kind of lunch I love. Preheat your oven to 350 °F. Place the Naan bread on a greased baking sheet. Cover the Naan bread with mozzarella cheese followed by the Italian stuffed mushroom filling. 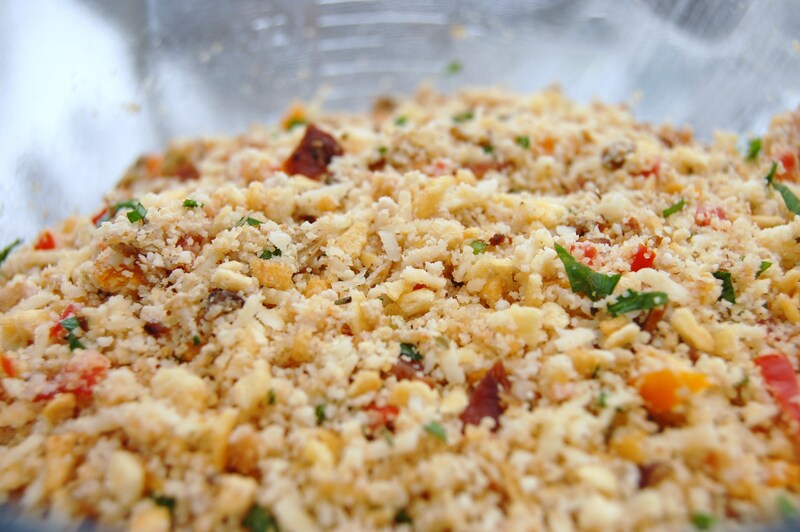 Sprinkle with some chopped Italian parsley. Bake in a preheated oven for 15 minutes or until slightly golden. Allow to cool and serve warm. I love recipes that are versatile and this one is definitely versatile. How many Naan breads you can make depends on how much of your Italian mushroom filling you have left over. I was able to make 4. You could make the Italian Stuffed Mushroom filling just so that you could have these cheesy Naan’s. The only difference is you would need 4-5 mushrooms to chop and saute with all of the other ingredients instead of 40. It would make approximately 8-10 cheesy Naan breads. Another idea I had … I know stop already. Instead of filling mushrooms … how about filling zucchini? Hmmm. Anyone who grows zucchini know’s you can never have enough zucchini ideas. Calling all mushroom lovers. Ovvvv–er here! One of the things I absolutely love to eat are appetizers. They’re so cute and so flavourful and of course, so little, that you have to have more than just one, or even two and well, dog-gone-it, sometimes 3 or 4. Well the great thing about these little appetizers, is that they are almost all vegetables, so I’m giving you permission to have as many as you like and there’s absolutely no guilt involved. None. Eat as many as your little heart desires. The thing I like about this combination of flavours is its freshness. It doesn’t leave a heavy aftertaste, nor does it make you feel like you’ve over-indulged. It delivers a light, flavourful mouthful with every bite that will have your family and friends coming back for more. Served at a party, as an appetizer, these yummy little morsels are sure to get polished off. 1. In a large skillet, cook pork, drain fat and pat with a paper towel. Chop finely with a knife or a hand-held blender and set aside. In the same skillet, cook bacon over medium heat, until crisp. Remove to paper towels; pat dry, reserving 1 tablespoon of drippings. 2. Remove stems from mushrooms; set caps aside. Finely chop half of the stems (save the remaining for another use). Add chopped stems to bacon drippings; saute for 2-3 minutes. Remove from the heat. 3. Mix mushroom stems with crushed croutons, cheeses, tomato, pepper, cooked ham, bacon, parsley and oregano. 4. Firmly stuff crouton mixture into mushroom caps. Place on a greased baking sheet. Bake at 425 °F for 12-15 minutes or until mushrooms are tender. I filled a combination of 40 medium to large mushrooms and still ended up with enough filling left over for a great lunch idea which I’ll be posting here later in the week. In the meantime, here’s a handy little tip I found over at Farm Boy to keep mushrooms fresh. What’s the best way to keep Mushrooms fresh? Once you’ve purchased mushrooms loose or in a package, keep them in a paper bag to ensure freshness. This allows the mushrooms to breathe better and stay fresher longer so they retain their firm, tasty shape. Do not store them in plastic bags since plastics non-porous nature causes faster deterioration and loss of flavour while cooking. Stored properly, mushrooms should keep for several days. It doesn’t matter what size of mushrooms you pick. Size isn’t a sign of quality or age. Large ones are great for stuffing and smaller ones for marinating. Medium mushrooms are perfect for anything. Hi, I’m Jackie and I live a sweet, country life. My days are filled with culinary adventures, one kind, hard-working farmer, 3 amazing “junior” farmers and a crazy pet or two. I’m so glad you’re here and I can’t wait to show you around this sweet country life of mine.